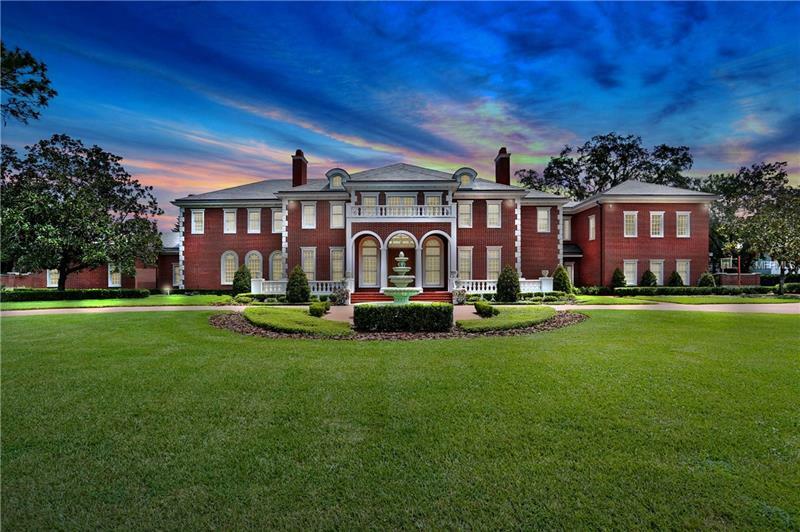 Magnificent Manor Estate on 1.7 acres built for an MLB All Star. Located in the exclusive guard-gated Avila Golf and Country Club community this home is ready for you to put your own personal design touch or build a brand new estate on this double lot! You are welcomed by a grand foyer entry to impressive architecture and stately appointments throughout 11768 square feet. Enjoy manicured grounds circular drive and fountain heated pool and spa cabana outdoor kitchen and generous space for entertaining overlooking the golf course. Refined features include marble and cherry hardwood flooring Palladian windows and classic columns stunning staircase coffered ceilings leaded glass transom windows French doors and multiple fireplaces. Expansive living spaces include a formal dining room great room with soaring ceiling generous kitchen with breakfast area and center island game/media room gym and executive study/library. A refined master retreat boasts expansive custom closets/dressing area and luxurious master bath with steam shower. Additional features include solid brick construction and extensive millwork slate roof multiple terraces security system central vacuum and 4-car plus golf cart garage. Experience a coveted Country Club lifestyle with an 18-hole Jack Nicklaus golf course and har-tru tennis aquatic center fitness center and dining amenities.